When a Game gets pirated, this is what one company did! 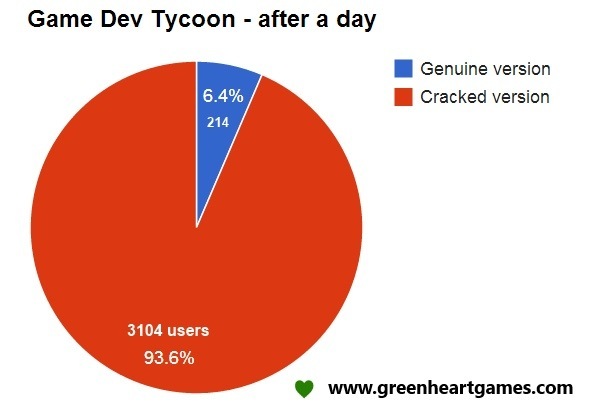 Greenhart Games released Game Dev Tycoon but at the same time did something unusual. The developers released their own cracked version on the torrents. The cracked version was able to track statistics and it also after been played for a while came up with the following message. But what’s even more depressing is the usage stats after 24 hours. With this level of piracy is it worth even developing games? Do you have any solutions?